Heat oven to 375°F. Line large cookie sheets with Reynolds® Parchment Paper. In small bowl, mix feta cheese, cream cheese, green chiles and egg yolk until well blended; set aside. In another small bowl, beat egg white and 1 tablespoon water until blended; set aside. Unroll pie crusts on work surface. 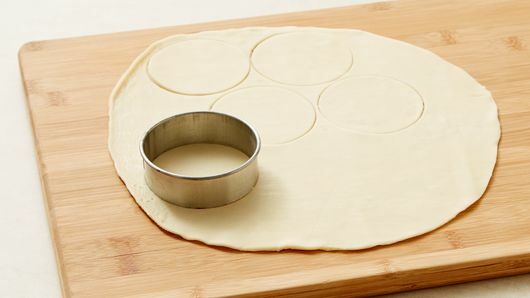 Using 3-inch round cutter, cut 9 rounds from each pie crust. Gather scraps and reroll; cut 6 additional rounds. Spoon slightly less than 1 tablespoon cheese mixture onto half of each dough round. Brush edges of crust rounds with egg white mixture. 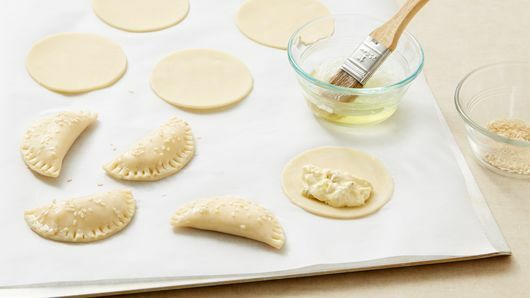 Fold crust rounds in half; press edges with fork to seal. Place on cookie sheet. Brush tops with egg white mixture; sprinkle with sesame seed. 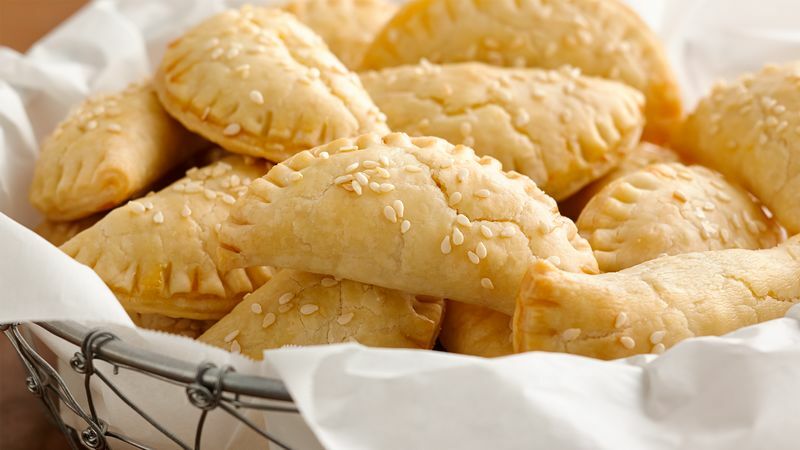 Bake 18 to 25 minutes or until dough is light golden brown. Serve warm. Reynolds® is a trademark of Reynolds Consumer Products Inc.